Living life with diabetes means taking risks. There are no two ways around it. It means making choices... LOTS of choices. Every day. That have a BIG impact on yourself or the person you are caring for. There are little choices everyday. Probably thousands of times a day. And one mistake... One little slip up... COULD have dire consequences. It's just part of living this D life. I think we all get immune to it after awhile. I think we HAVE to in order keep some semblance of normalcy. If we really thought about WHAT we were doing each and every time we did it... well, we'd never do anything! One of the biggest choices we make is in the way we choose to manage our diabetes or our child's diabetes. Stick with MDI? Or go to a pump? This is a BIG decision. And not one to take mildly. If you decide that MDI is right for you or your child, that is great. If you weigh the benefits and the drawbacks with an open, objective mind and decide that injections are right for you - AWESOME! Because the goal in all this is to effectively manage diabetes. So if you are doing that on MDI and you are happy with your current treatment plan... Don't let anyone make you feel bad for NOT using a pump. Please, PLEASE do not be afraid of the pump. Please, PLEASE do not fear the pump because of what happened to us. I've gotten a few emails from folks saying that they are now scared of the pump. This breaks my heart. Truly it does. It was never my intention to scare anyone. And certainly not to scare anyone away from the pump. I wanted to share our experience because, well, it's what I do. And because I think it's an important reminder for us all to not get too complacent. To keep up to date with our supplies and training. Because what happened to us can happen to anyone. Whether you are using a pump or on MDI. Low blood sugars happen. Seizures happen. They just do. As far as us not knowing what we're doing... Well, I never claimed to be an expert! Sometimes I DON'T feel like I know what I'm doing at all! But... I think J and I know our child and her diabetes better than anyone else--- so back off! Trust me, the thought went through my head. I was NOT overly excited to hook her back up. I believe that the pump is the best treatment option for my child. My child wants to use the pump and not do MDI. And although she is young, it is HER body and HER disease so her input should count for something. I believe that we will be able to control her diabetes better with the pump. I believe the pump will help her live a long, complication free life. And so even though I was scared, we hooked her back up. Because I believe that it is what we needed to do. That is the choice we made. 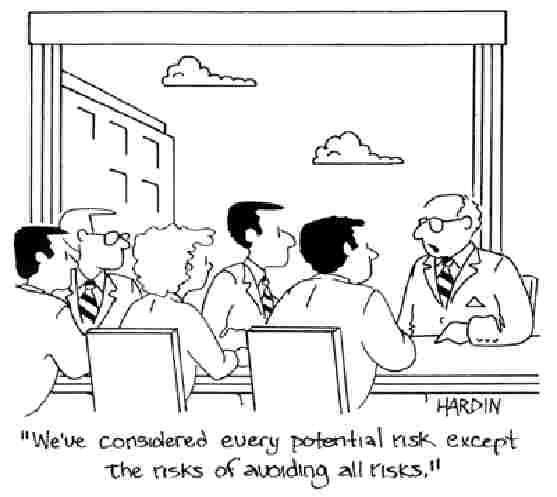 Are there risks? Yes. There are. But there are risks with anything. 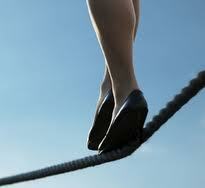 All of our choices when dealing with diabetes involve taking a risk. So, please, PLEASE... don't let one bad experience scare you from something that might benefit your child. Please, PLEASE don't let your fear hold you back. Every day we make choices. Every day we take risks. Because if we didn't.... we wouldn't really be living. Well said Hallie! Please continue to share all your experiences with the D life, good and bad, because you are helping people tremendously. I refer people to your blog all the time and always hear positive feedback about how much it has helped them. You are doing a good thing! I remember when we started Joe on the pump. I was nervous. I had even seen a disaster while working in the ICU due to a pump...(it was an operator error). Like you said, with all choices there are pros and cons. For us, the pump has more pros than MDI and less cons than MDI. I am a pump-lover. Sorry you got so many negative e-mails. You could have kept that story to your self and no one would have known. Instead you shared something very personal for us to learn from. You are right every thing is life has risks. For us I believe there is more risks with MDI. My daughter goes to school it is easy to teach someone to push buttons on a pump, it is hard to make sure they always draw up the right amount of insulin. Pumps have tons of safety features that would keep them from dispensing too much insulin. Sweets is very proud of her pump. She doesn't hid it. She is a very happy little girl. Trust me I have met her. In life some of the greatest risks have the greatest pay offs. I was totally against the pump when mine was diagnosed now I really can't imagine life without it. The pump was overwhelming to learn at first, but then again wasn't diabetes? Oh honey I am so sorry there are Judgy McJudgisons out there, who think they always know more, and know better. We each have our own path, in our own time, with diabetes. The DOC has hopefully taught us all that. There are scary things about MDI. There are scary things about a pump. There are scary things about diabetes. You continue to rock hon, let the naysayers and negativity go. Life's too short folks, life is too short. I'm so sorry that some people got the wrong idea from that post. Apparently, some people think that your opening up and posting about an experience means that they can then comment on your decisions. The thing is, though, that this decision made your life easier. Maybe some of those people who said that you shouldn't be using the pump should go back and read some of the posts about chasing your daughter and holding her down five times per day to give her a shot! Even though reading what happened to you and Sweets was scary, we can all still learn from it. Thank you for posting your story. Incredibly well said, Hallie! Everyone's D life is THEIR life and choices are made on a daily (minutely...is that a word?) basis. You have to do what is best for you, for your child. It is no one's place to judge that decision if it happens to be different (or even the same!) from their own. I've read many stories about those on MDI accidentally dosing fast acting insulin instead of their long lasting and being thankfully they caught the mistake soon enough to avoid BIG problems! 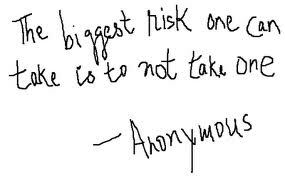 Everything with D has it's risks...you just weigh them out and decide which one YOU are going to take! LOVE, SUPPORT, HUGS, and THANKS!!! I know when I read your story, I got a little knot of fear in my stomach. But, I had that fear even before reading your story. I guess it scares me a little to place my child's life in the "hands" of a machine, because machines are fallible. That's not to say I am not, but being the control freak I am, it makes me feel better when I do it. Plus Elise is still saying no, and I'm with you... it's HER body, and her disease. She can decide. Hallie, I just wanted to take a minute and tell you what an amazing mom you are. Not just an amazing D-Mom, but an amazing mom. 1. Sweetpea is blessed to have you caring for her. 2. You are honoring God with every step you make. 3. He's going to bless that over and over again. First booo to the negative judgmental bleeps! Love you! Is it scary? Hell yes. This whole disease is. MDI or Pump. Insulin is not a cure and not a pefect science no matter which way you use it. I love your honesty. Thank you! As always, beautiful put Hallie! Kate's using the pump now and likes it....I personally wonder if summer wouldn't be better for MDI but it's not my decision to make--it's her disease and she needs to have a sense of control. My job is to guide her, support her, and listen to her. Starting CGM this week...can't wait! I an glad you shared your story with us. We have Animas as the backup pump (it was her first pump). Using Minimed now but there are things I miss about Animas. Animas never malfunctioned in a serious way (loose cap). But replacing the cap every 6 months only highlights for me a serious design flaw, which I hadn't really given much thought to. And it's not as if you can periodically check and tighten the cap. You can never tighten the cap if pump is on. The Minimed pump does not have this problem. However, I certainly have read of the Minimed pump accidentally giving too much insulin. Any brand of pump can malfunction. But if you are worried about the cap (and I now do worry about this), Minimed is a safe choice. There have been problems with quick sets that have been resolved, but you can use other sets. I agree yes to pumping; but which pump is a good question to ask. P.S. Can't imagine going through her childhood without the pump, particularly during puberty. I think the pump is still the safest choice. I HATE what you, J and Sweetpea went through that night. But even after all of that, I don't know what I would do without the pump. And I would like to make the point that I know Hallie and J personally and I KNOW that they are as diligent and thorough as any pancreating humans can be.